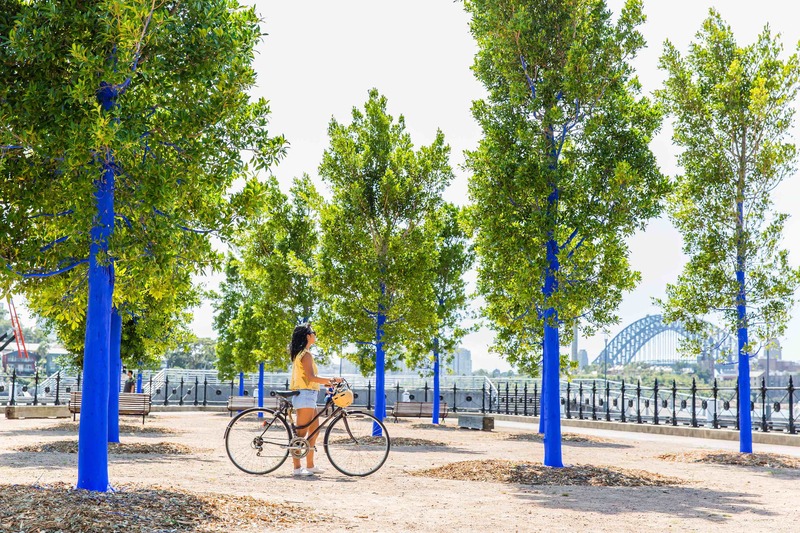 Artist Konstantin Dimopoulos wants to get you thinking about how important the natural environment is, so he's colouring the trees blue. 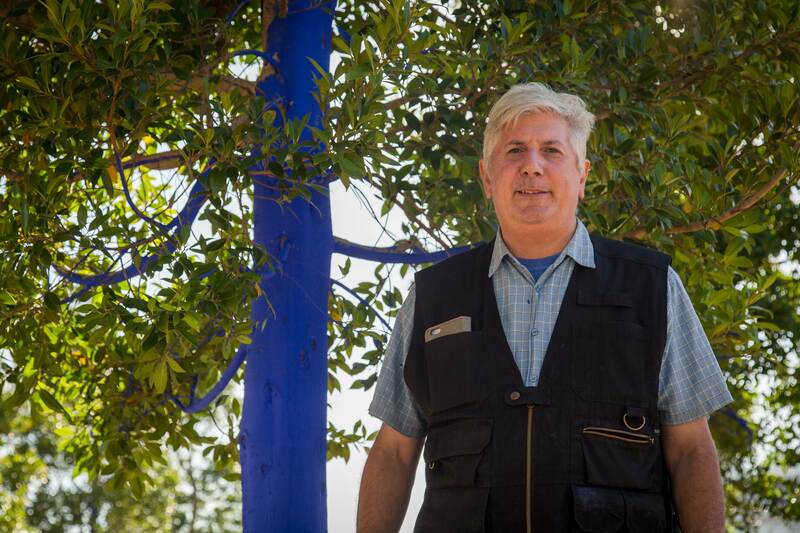 "The Blue Trees takes an urban landscape with which you are familiar and changes it for a brief period of time so that it becomes surreal, unfamiliar, even uncomfortable." "As artists we change our environment continually through our particular practice; we take reality and alter it. We are creatures who like certainty and we become disconcerted when our own immediate environment changes. Yet we have altered and destroyed much of the global environment." "The primordial Old Forests that are hundreds of years old are disappearing at an alarming rate with no option of restoration, and with this destruction we have caused the extinction of countless species of other flora and wildlife. Old Forests are the lungs of the earth, providing much of the oxygen we breathe. Only some 30 percent remain." "Only 50 percent of the planets life-giving rainforests remain. Rainforests are cleared to sustain our modern way of life, for farming, amongst other things, top-grade beef that high-end restaurants demand, and palm oil that has crept into so many things we use, from food, soap, cosmetics and plastics." "Can Art Save The World? Maybe not on its own, but it can generate thinking and discussion throughout the global community." 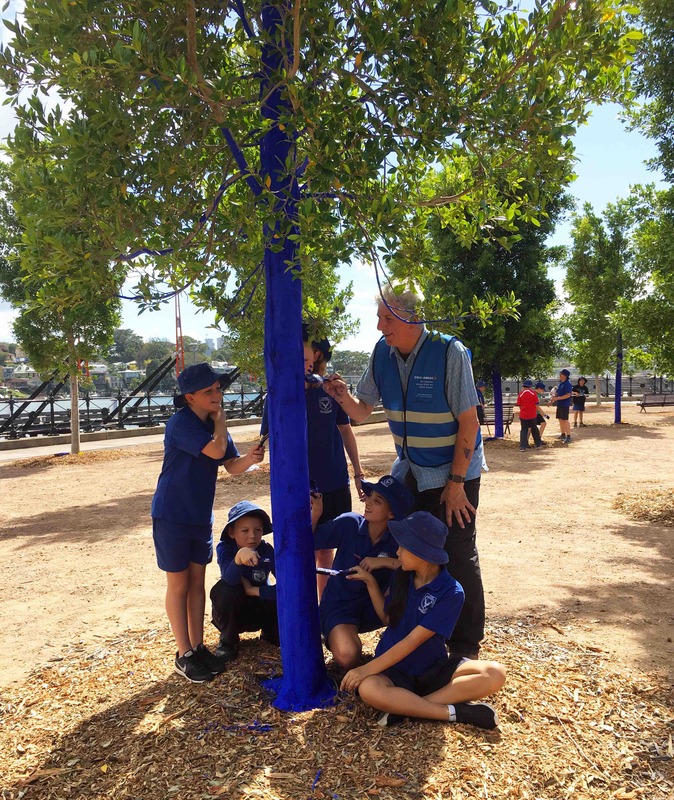 It's not a permanent colour change, the artist assures us: "It is easy to restore the trees we have colored blue back to their natural state. The water-based colour will slowly degrade off the trees, or it can be manually removed using water." 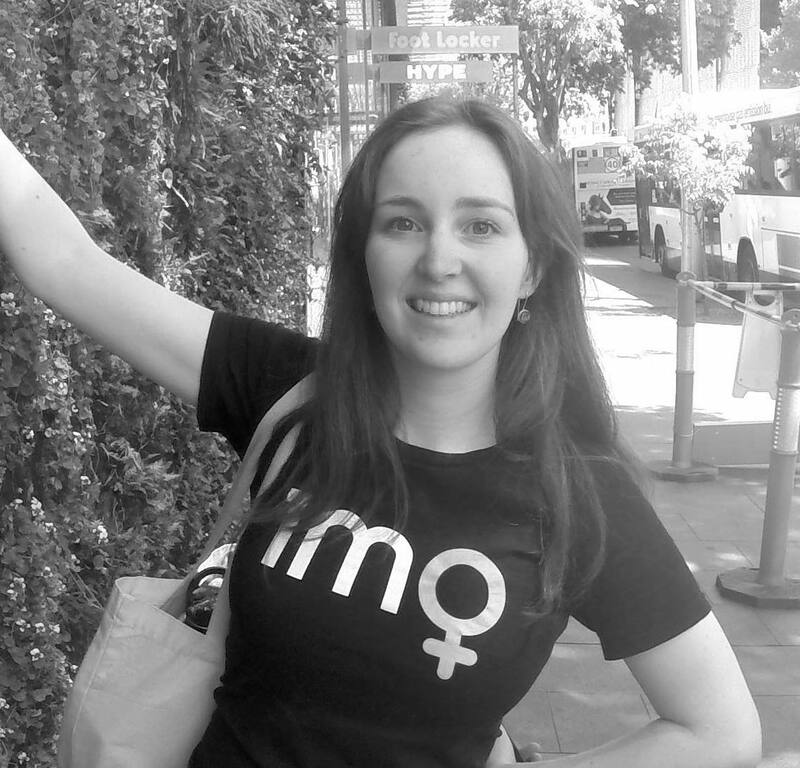 "People today are feeling increasingly disempowered. 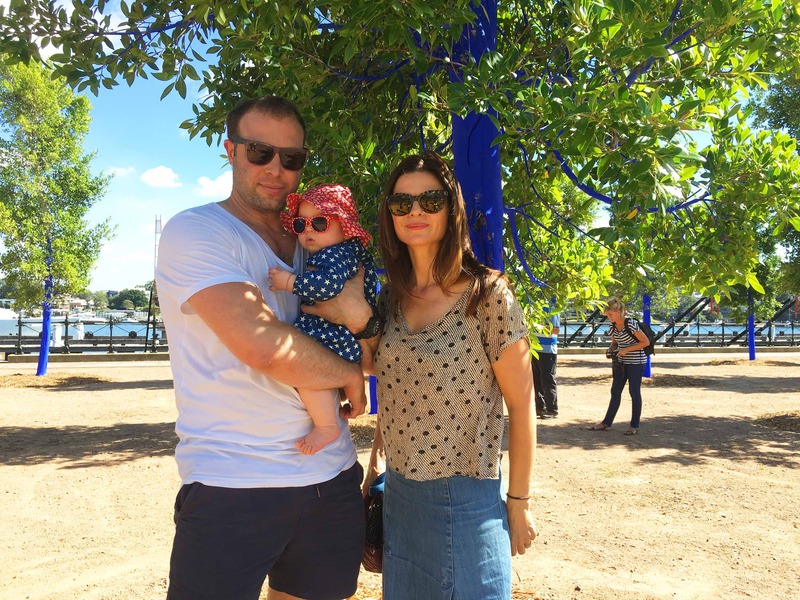 When I create The Blue Trees people tell me how overwhelmed they feel about the flood of media they receive about environmental and social issues. It all seems too vast. People say to me, what can I do at home when so many of the issues are caused by big industry? Will what I do make a difference?" "Always the answer is yes. Here's what people can do at an individual level: look after the trees you have, plant more trees, particularly trees that are indigenous to your area as they will be more likely to survive and flourish in your climate, or join a tree-planting organisation: they do a wonderful job in the community, often have days where they give away free trees; and you can help them plant out trees in public spaces." "We only use low-tox cleaning products: household cleaners, laundry detergent, shampoo and so on. We use a lot of baking soda and white vinegar. Supermarkets have a very limited range of low-tox products so we often have to look online for other suppliers." "We are rapidly decreasing our plastic usage by using waxed paper, damp teatowels and bowls covered with plates as a means of storing food in the fridge; and glass storage containers in the pantry. We only have one car and prefer to walk or use public transport where possible." Great work, Adele and Konstantin! We're inspired by your efforts!